Henry Grattan Nolan was born in Calgary, Alberta, on May 5, 1893. He was the son of Patrick James Nolan and Mary Elizabeth Lee. After graduating from the University of Alberta with a B.A. in 1914, he enlisted in the armed forces and served in Europe during the First World War. He was wounded at Cambrai, France, and received the Military Cross in 1918. After the war, he attended Oxford University as a Rhodes Scholar and earned a further B.A. in 1921. Called to the English bar and the bar of Alberta in 1922, he settled in Calgary and joined the law firm of Bennett, Hannah & Sanford. During the Second World War, he acted as deputy to the Canadian Army Judge Advocate General, and at the end of the war he was chosen to be the Canadian prosecutor before the International Military Tribunal trying war criminals in the Far East. On March 1, 1956, he was appointed to the Supreme Court of Canada, on which he served for one year. 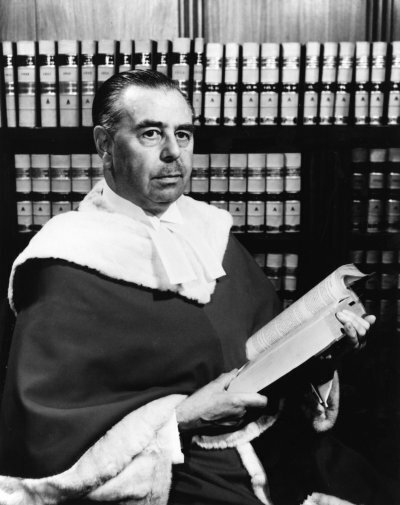 Justice Nolan died on July 8, 1957, at the age of 64.